Just a quick note to let you all know that I am now a contributor to a new website called Vintopia. 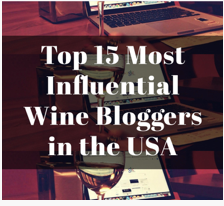 They just published an article on their site that I wrote last year about the Top Five Online Wine Flash sites (which is one of my most viewed articles ever). Be sure to go over there and check them out if you get the chance! Thanks, we will see how it pans out. This is great! Congrats to you!